"I had 3 rings stolen. Two of them were from the 50s and have huge sentimental value. One signet ring similar to [the one on the right] with MB on it curly. 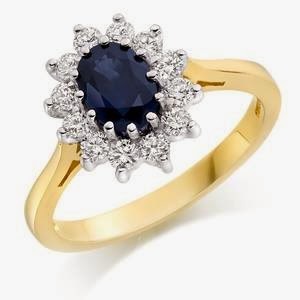 2 Sapphire rings one has a bit of gold attached on the inside to make it smaller." "It has the metal squaring up to meet the jewel (not so curved on the top if you get me) and flat surfaces with a little engraved pattern perhaps a cross." If you know anyone a little dodgy who has suddenly acquired some rings like this, or just happen to know something that would help this person get her property back please call the police on 101 or anonymously on 0800 555 111. If there is an emergency always call 999.